Are you striving hard toward personal growth, using exercise, physical fitness and intense competition to build your character and shape your life in positive ways? Well, Reebok wants to give you a hand. 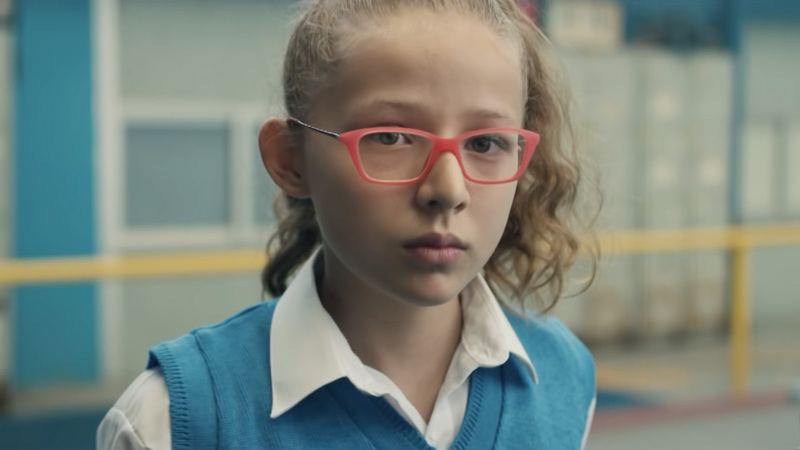 Today, the Adidas-owned brand kicks off the third year of its global "Be More Human" campaign, stressing physicality and personal connection across TV, print, digital assets and live activations. Like earlier iterations of the work, this latest push from Venables Bell & Partners encourages folks to work up a sweat and make some personal sacrifices en route to being their best selves. And once again, ads position Reebok as the ultimate cheerleader and gear provider to help them succeed. "We're not just talking about fitness for the sake of fitness, or winning and losing," Yan Martin, Reebok's vp of brand management and creative direction, tells Adweek. "This is about the transformation that happens when we move—physically, mentally and socially. So that gives us a lot of areas to play in, and a lot to respond to within culture and the current mind-set of the world." Martin characterizes the new work as an evolution of the "Be More Human" positioning. The platform launched two years ago by "shining a light on the tough fitness community, the 'fitness freaks'—and letting them know, 'We get you,' " he says. It expanded in 2016 by showing "how fitness, and specifically running, can lead to a richer, better life," Martin adds. "This year, we wanted to open up the aperture to even more types of fitness and people, but with the same message that physicality unlocks a better version of yourself," he says. That mantra gets a cinematic workout in "Hands," a minute-long spot (above) directed by Bullitt's Diego Contreras in the gritty, quasi-documentary style that has defined "Be More Human" since its inception. "Our lives are shaped by how we move," says a voiceover at one point. "By how hard we push, flip, fly and hang. Our stories are written on our calluses and scars." Indeed, when boxing, rock climbing or pumping iron, your palms and knuckles can get bruised and battered along the way. "We saw hands as the perfect metaphor for the change that happens when you are physical," says Martin. "Because as we push and pull and fight, our hands collect calluses, and blisters and scars. They're almost like journals in this way. But as our hands, and bodies, change, we also change on the inside. Becoming braver and kinder and more connected." The shots of punching out mirrors seem a bit extreme. (We're a bit surprised the legal department didn't insist on a "Don't try this at home" disclaimer.) Maybe that dude should think with his head instead of his hands. Such behavior presumably won't be advocated by the thousands of trainers in the ReebokOne program who will be available this week in New York, Los Angeles, Boston, San Francisco, Miami and other cities as part of the campaign, offering free workouts—normally priced at $50—in exchange for a handshake. Other key elements include "Stories of Progress," an online collection of inspirational influencer testimonials, and related content at brand events, retailers and Reebok FitHub locations. "Our hands and our shoes say a lot about what we've been through and who we are as people," says Will McGinness, executive creative director at VB&P. "We wanted to embrace that truth."